Storytime will be on Friday at 10:30 am, followed by Play & Learn in English & Spanish, facilitated by Neighborhood House staff from 11:30-1:00. First Thursday Family Night will be lots of fun from 6:30-7:30 pm. We'll share stories, make folding books, stuff fabric hearts with stuffing and lavender flowers donated by a Columbia City neighbor and have other craft activities available. There will be a babies' corner and a doll house. Children from birth to about age 12 are invited along with their parents. Homework Help happens from 5-7pm Monday through Thursday evenings the weeks that Seattle Public Schools are in session. No signup required. Evening Book Group meets Wednesday, February 6 from 6:45 - 7:45pm. This month's title is "The Highest Tide" by Jim Lynch. Borrow a copy of next month's book from the reference desk any time this month. Book Group meets on the first Wednesday of the month. 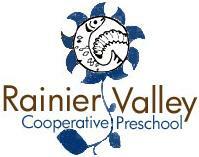 Rainier Valley Cooperative Preschool invites prospective parents to visit our open houses for the 2008 - 2009 school year. We offer mixed-age classes for children ages 2 -5, with two teachers using a co-teaching model, right in the heart of Columbia City. As a cooperative preschool, our parents work in the classroom on a regular basis and manage the overall operations of the school. Tuition ranges from $110 to $400 a month, with scholarships available to qualifying families. Maximum class size is 16. Learn more about our school online. Saturday, February 9th from 10am - noon, join preschool teachers and families at our first open house of the enrollment season. 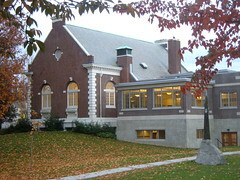 Your children are welcome to come explore the space and play, and parents are encouraged to ask questions, get to know our families, and arrange a tour during class times. Can't make Saturday? We'll be hosting a second Open House on Tuesday, February 26th from 6pm - 8pm. Hope to see you there! See the meeting agenda and the interim officers. All Columbia City residents are heartily encouraged to attend the next meeting of the Columbia City Community Council on Monday, February 11 at 6pm. Rukh and Jeff, neighbors who have kindly opened their home for the meeting, live at 5211 37th Ave S.
CCCC meetings are a prime opportunity to hobnob with other Columbia City residents and positively influence the direction of our changing neighborhood in the years to come. Call Chris at 818-5997 for directions or if you have trouble finding the house. 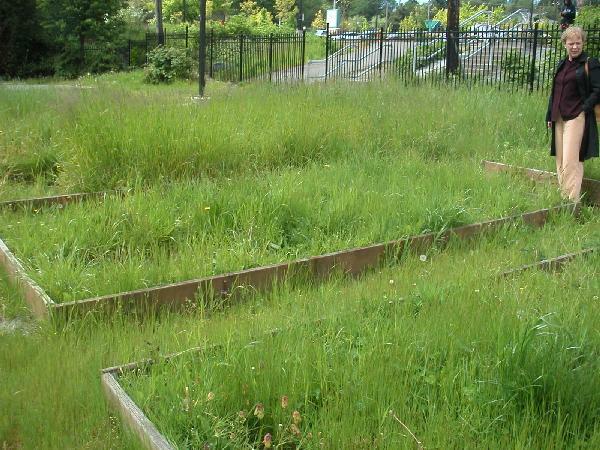 Summer 2008: SouthEast Effective Development (SEED) is seeking an instructor for a workshop rehabilitating a 2,400-square-foot community garden at Lake Washington Apartments in Rainier Beach. Instructor will help with selecting and purchasing materials, project planning/schedule coordination, and working with high-school aged youth to demolish existing garden beds, construct new garden beds, and lay gravel for pathways. Instructor will work with an assistant during garden construction. Pay: $20-$40/hr, depending on experience. Qualifications: Gardening and construction knowledge preferred. Some teaching experience necessary (background check required). Experience working with diverse communities or language ability is a plus. Access to tools helpful! If you or someone you know might be interested in this project, please contact Abbey Norris (gro.elttaesdees|sirrona#gro.elttaesdees|sirrona) or call 760-4289. The 3rd Annual Festival of Words and Photos will take place March 15, 2008 (4 - 6pm) at the Rainier Valley Cultural Center (3515 S Alaska St) following the Young Playwright's Festival. Send poetry, prose and photography entries. The top three entrants in each category will receive cash and prizes and be published in a keepsake tabloid. Please send submissions to moc.lanruojtcirtsids|rotide#moc.lanruojtcirtsids|rotide or contact 461-1311. At the festival, adult admission prices (18+): $5 for the Young Playwrights Festival, and $3 for the Festival of Words and Photos, or $7 for both. Kids are free. Brownbox Theatre presents a fully staged reading of David & Jonathan, a new play written by SEEDArts' own Kathya Alexander. David and Jonathan were heroic figures of the Kingdom of Israel, whose intimate relationship was recorded favorably in the Old Testament book of Samuel. David & Jonathan is a contemporary re-telling of the biblical story set in a Black America. The story deals the with provocative themes of faith, love and homosexuality in the church. The event is free or by donation. 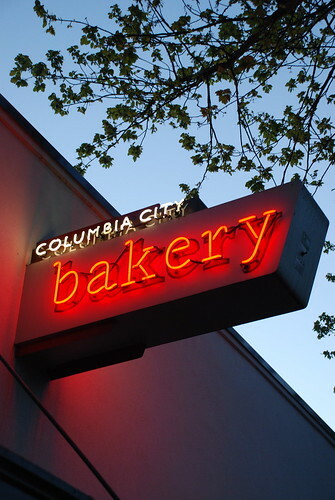 45,000 YouTube views of a Columbia City video — you? The Captain chimes in with the Times on southeast schools. The Gateway Project's design workshop. Harbor Properties has rescheduled its community meeting. A Citizen needs a good body shop. 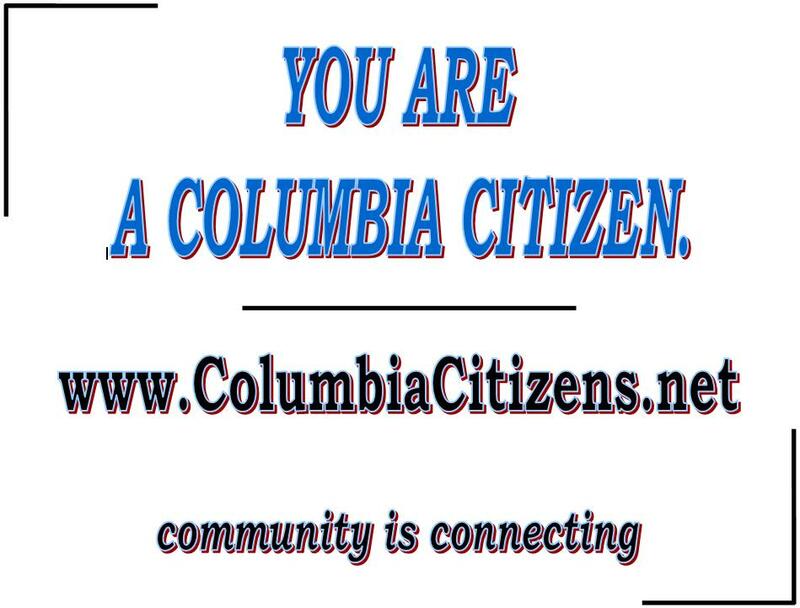 Columbia Citizenship is even better for members. The membership page is updated, and existing site members can now invite new members. Citizens have updated the Columbia City Community Council's page, including the upcoming agenda and interim leaders. South Seattle Crime Prevention Council has updated its agenda for its Feb 6 meeting. Sustainable South Seattle has updated its page. 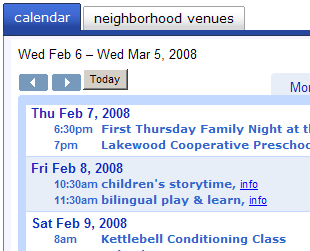 A Citizen has updated Columbia City online to include a link to the Rainier Vista interagency blog. Columbia Citizens' video library has grown to include clips about the cinema, a 2003 message to City Hall, and neighborhood history.